For those wanting to get a little more out of their holidays, Southeast Asia has long been the must head destination for Zen-seeking Aussies—think yoga retreats in Thailand and meditation workshops in Bali. But now, the times are a-changing. And with it, Japan is taking centre stage as the new wellness capital of the world. A striking contrast to the Tokyo’s neon-lit, vending machine-lined neighbourhoods of Shinjuku and Shibuya, head away from Japan’s cities and you’ll find corners of this diverse country that offer a plethora of experiences that’ll quash the stresses of daily life quicker than you can say sayonara. It’s time to trade crowded beaches for hidden mountain hideouts, yoga classes for meditation sessions, acai bowls for vegan multi-course meals, and experience “wellness” how it has been done for thousands of years. Here is the ultimate guide to wellness in Japan, from someone who actually lives there. Head to the city of Yawata, a 45-minute train ride from Kyoto Station, and you’ll find Iwashimizu Hachiman-gu Shrine. Said to be one of the most powerful shrines in the country, it’s far enough removed from the main drags of Kyoto to be free of the tourist flocks, but it’s still easily accessible. It’s the perfect spot for an afternoon of peace and quiet, contemplative reflection and a deeper understanding of Japanese spirituality. It’s incredibly rare for outside guests to have access to the inner sanctum of a shrine, but Iwashimizu Shrine hosts small, monk-run tours (in Japanese and occasionally English), so you can fully appreciate what you're experiencing. In past Japan, a “koudoukan” was a place of educational enlightenment, similar to what you’d call a private university today. One of the most tranquil corners of Kyoto is Yuuhisai Koudoukan, a home of spiritually enlightened Japanese arts and education. It was established by Minagawa Kien, a key figure in Kyoto during the Edo-period (1603 and 1868). If you’re looking for a way to become familiar with Japanese art and culture in a traditional, but foreigner-welcoming setting, this is it. The space hosts live performances of Noh theatre, as well as meditative tea ceremonies and private traditional Japanese dance lessons. The holiest mountain in all of Japan, Mt. Koya, or Koya-san to the locals, sits in the naturally rugged pocket of Wakayama Prefecture, on a mountaintop south of Kyoto and Osaka. It’s known as the centre of one of Japan’s primary schools of Buddhism, Shingon. The man who introduced this form of Buddhism to Japan back in 805, Kobo Daishi, actually still resides here, in a state of eternal meditation. While accessible, Mt. Koya is a little out of the way for regular tourists, it’s quickly become a favourite Buddhist retreat for those seeking a more authentic meditation experience. Scattered along the top of the mountain are clusters of religious sites and Buddhist temples, which also double as accommodation and meditation retreats. Shinrin-yoku is the Japanese term for “forest bathing”. It translates to “taking in the forest atmosphere” and it’s also a commonly practised wellness routine followed throughout the country. Shinrin-yoku is literally just spending time in nature, breathing the fresh, healthy air, leaving your earthly concerns at the gate and taking a little regular-life detox. Mt. 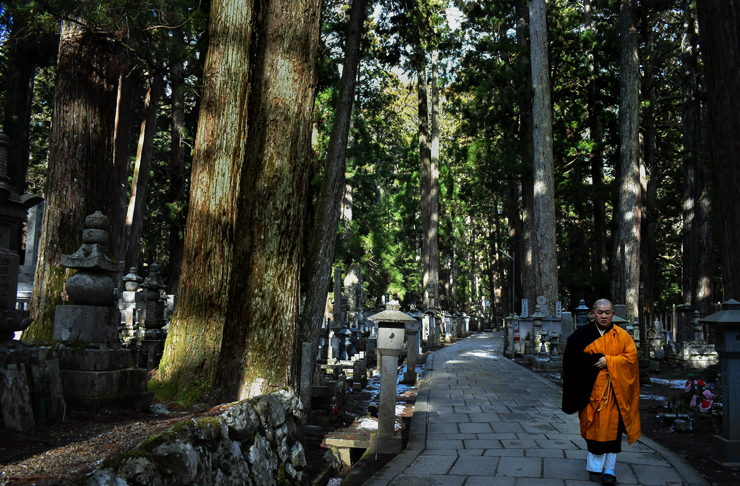 Koya’s centrepiece, Okunoin Cemetery is one of the most spiritually enthralling and naturally beautiful places to experience shinrin-yoku. It’s home to over 200,000 tombstones which flank the central passageway leading to Kobo Daishi's mausoleum. Dusted in a fine coating of vivid moss, these beautifully dilapidated gravestones belong to people who in death wished to be close to the great Daishi, mainly prominent monks and feudal lords. 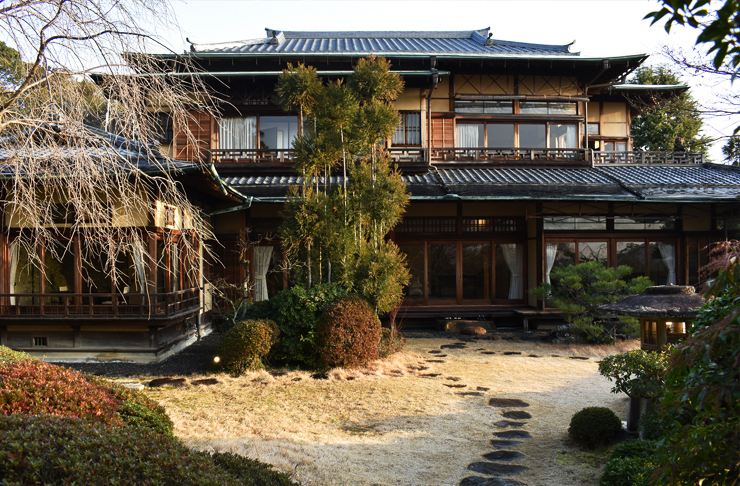 For wellness and luxury like it was done centuries ago, you can’t go past Yoshida Sanso at the foot of Mt. Yoshida. Located outside the centre of Kyoto, it’s the ex-residence of a Japanese Prince, Higashi-Fushimi. 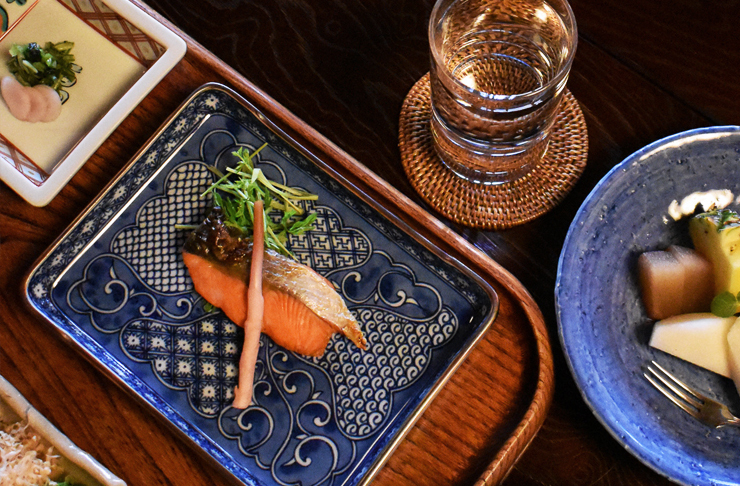 Far enough away from the busy energy of the city, this elegant traditional style ryokan inn is a lesson in understated Japanese beauty and the perfect place to digital detox and really embrace your Zen. Its positioning right by the mountain, overlooking Kyoto means its perfect for exploring the city's ancient sites like the Ginkaku-ji temple and Philosopher's Walk by foot. It’s worthwhile staying at a shukubo temple, which in English means temple lodging. These temple lodgings were once home to pilgrims making their way across the mountain on spiritual journeys, and they still are, but instead of going on foot, they come by car or bus. There are many options to choose from, but unless you know what you’re looking for it can be difficult to decide. There are two places we can recommend for two slightly different travelling types. For something a little higher-end, Souji-in is a hybrid of luxury living and spiritual wellness retreat. This sprawling temple was built in the 12th century, but it wasn’t until 1994 that it was open for the public. Rooms feature traditional tatami mat flooring and futon beds, but unlike some of the other temples in the area, they also have a private ensuite. Staying true to its Buddhist roots, the temple serves shojin ryori (traditional vegan Buddhist meals) served by the temple’s monks. At 6am sharp the temple hosts a prayer service, which, yes is far early than most of us get out of bed on a weekday, let alone weekend, but really if you don’t visit a service, you haven’t done Mt. Koya. It’s an enthralling, meditative display unwavering focus. A short walk from Souji-in is Eko-In, one of the more famous temples for foreign guests. Many of the monks who work here are young, bilingual, and while they take their duties seriously, they have an air of almost irreverent affability. The temple was built around 1200 years ago, but today its interior feels more like a stylish guesthouse, with traditional Japanese finishings. As well as a morning service, Eko-In runs a Goma (Homa) Fire Ritual, just beside the inn. The ritual consists of burning wood sticks which symbolise human desires (the root of suffering) in a towering, meticulously-controlled fire. The event is a cleansing procedure; a cathartic display of the fleetingness of everything, and the innate freedom that can come with just letting go. Before you leave Koya and get back to reality, make a stop at Kadohama Goma-dofu a delicate little tofu shop that supplies much of the tofu served on the mountain. Today in Australia, tofu is only just emerging from the shadows and shaking off its almost too-hippy image as a vegan’s best friend, but in Japan tofu is a food of the people. Like magicians pulling endless items out of the hats, the chefs at Kadohama Goma-dofu have managed to concoct a seemingly infinite combination of goma-dofu dishes that’ll make even the most bloodthirsty of meat-eaters question their dietary habits. Want to discover more of Japan? Check out our guide to tackling Tokyo solo.